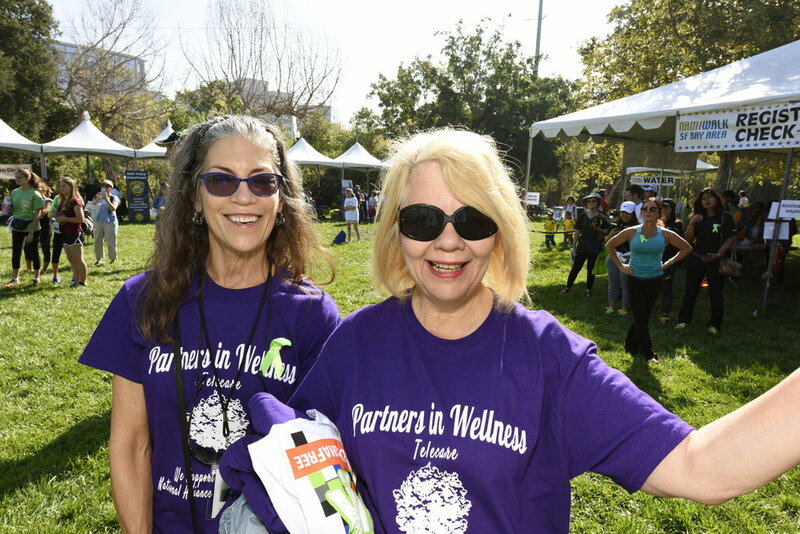 Telecare's Partners in Wellness program showed their spirit at Santa Clara County's first National Alliance on Mental Illness (NAMI) Walk on Saturday, September 17. Telecare was a sponsor for the lively 5k walk, which aimed to raise awareness, educate, and reduce the stigma that surrounds mental health. The day's events and activities began with a performance by Aztec dancers and drummers, and ended with feasting at food trucks. Partners in Wellness, which opened on August 1, was created through Santa Clara County’s Pay for Success (PFS) project, a funding model in which the government pays for services only if a service provider achieves clearly defined results. Telecare teamed up with Santa Clara County and Third Sector Capital Partners to create the Full Service Partnership (FSP) program to provide intensive case management services in San Jose, CA. Partners in Wellness is the first PFS project in the country that is designed to serve residents with acute mental illness. 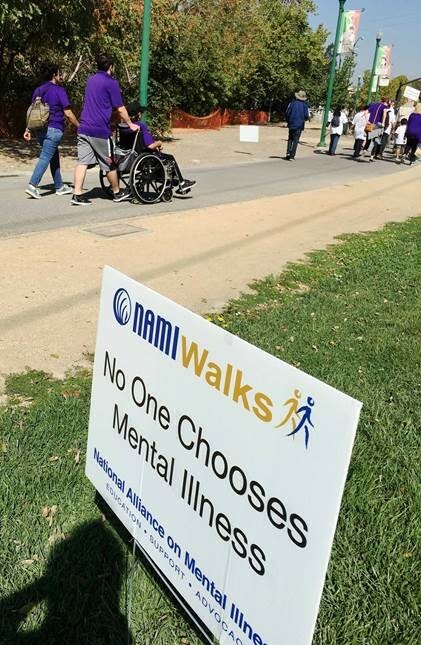 Toni Anne Tullys, Director, Department of Santa Clara County Department of Behavioral Health, speaks at the Silicon Valley NAMI Walk on Saturday, September 17. 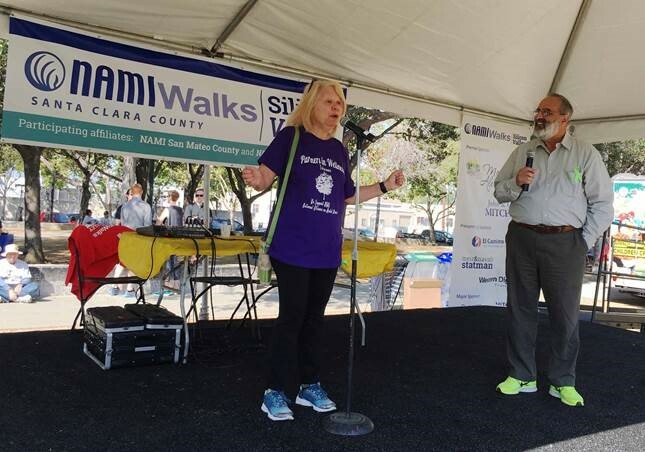 Lillian Fillpot, Administrator, Santa Clara Partners in Wellness, speaks at the Silicon Valley NAMI Walk Saturday, September 17. (L-R back row): Rachael Castro, Housing Supervisor; Mathew Castro; Edie Coronado; Lillian Fillpot, Administrator; Jennie Kosko, Personal Service Coordinator. 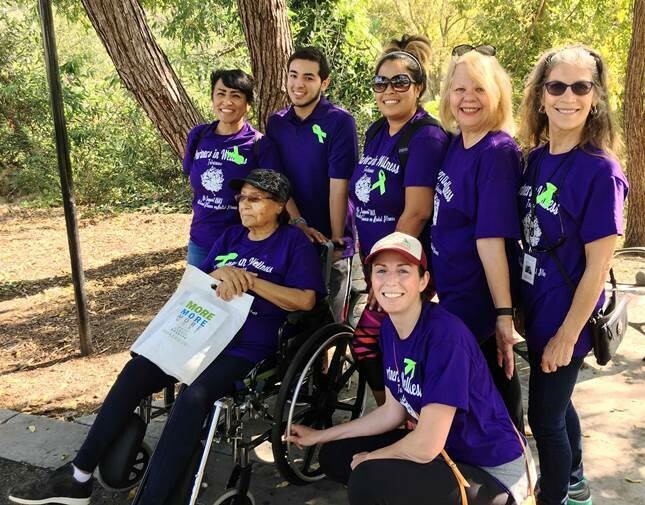 (Bottom row L-R): Justina Coronado and Kristen Everett, Clinical Director at the Santa Clara NAMI walk on Saturday, September 17. Jennie Kosko, Personal Service Coordinator and Lillian Fillpot, Administrator at the Silicon Valley NAMI Walk on Saturday, September 17. (L-R): Rachael Castro, Mathew Castro, Edie Coronado, and Justina Coronado at the Silicon Valley NAMI Walk on Saturday, September 17. 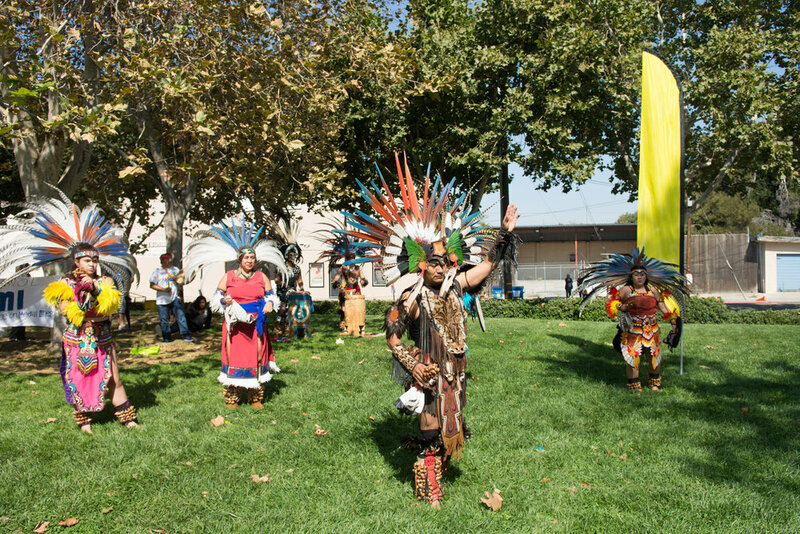 Aztec dancers performed at the Silicon Valley NAMI Walk on Saturday, September 17. 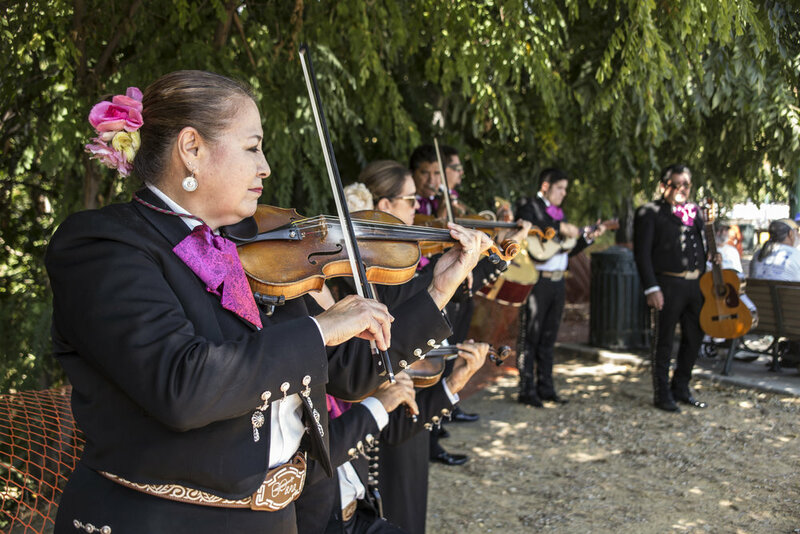 A mariachi band played during the Silicon Valley NAMI Walk on Saturday, September 17.